Love to cook. Cook to love. That’s Penzeys Spices motto and my adopted motto as well. I’ve been a devotee of Penzeys ever since my sister turned me on to their catalog years ago (yes, Nicole, I give you full credit!). The closest store to us back in California was Torrance (way too far from San Clemente) so we would both study the catalog, read the articles, and then coordinate our orders to save on shipping. Lucky for me, I have access to the fabulous Falls Church, Virginia store, which I have yet to visit, but plan on supplementing my diminishing stores of spices soon. 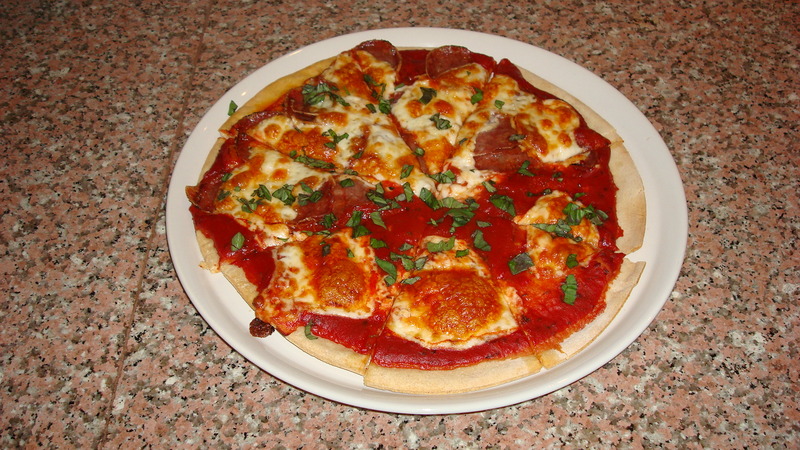 Some of you may know that I was featured in the catalog a few years back and paid homage to Raj by including our traditional Friday night pizza recipe. One night while I was combing through the catalog in Amman (feeling sad for not being able to ship spices overseas), I was inspired (once again) to respond to their “Calling All Cooks” campaign. 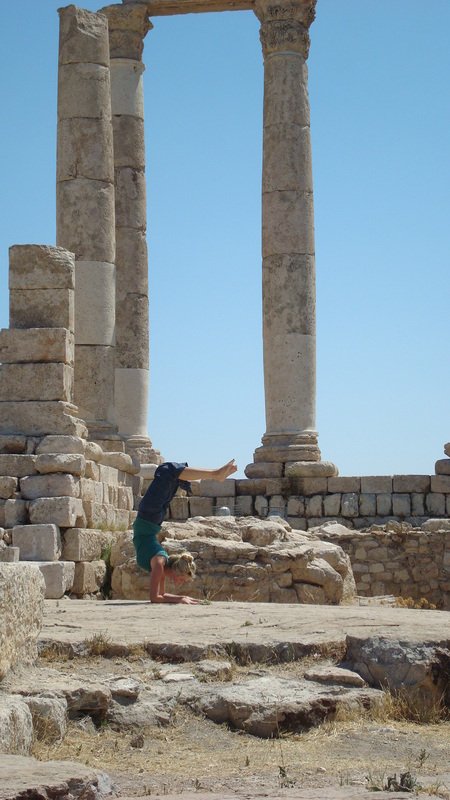 I was contacted by one of their pleasant writers and shared with her my experiences of living overseas and a few of my favorite Middle Eastern recipes. 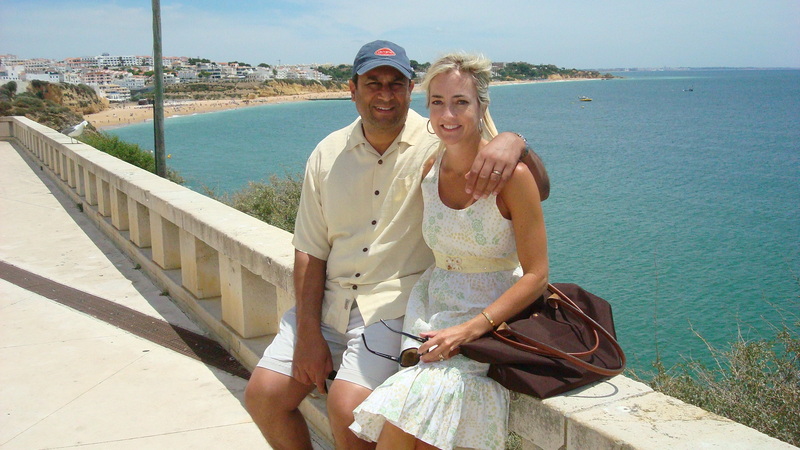 The story sort of morphed into a love story about how Raj and I met. I went to Miles, the closest thing we have here to Balducci’s or Whole Foods, and bought most of the items off my list with the exception of sour cream (is it really that exotic?). I was able to find sour cream at another store and you would have thought that I bought gold! It was about $3 JD’s for an itty bitty little plastic container–the size of a container of sour cream that you get at Mexican restaurant. The only basil I could find was brown and spotty, but I bought it anyway to avoid having to go to another store this morning. 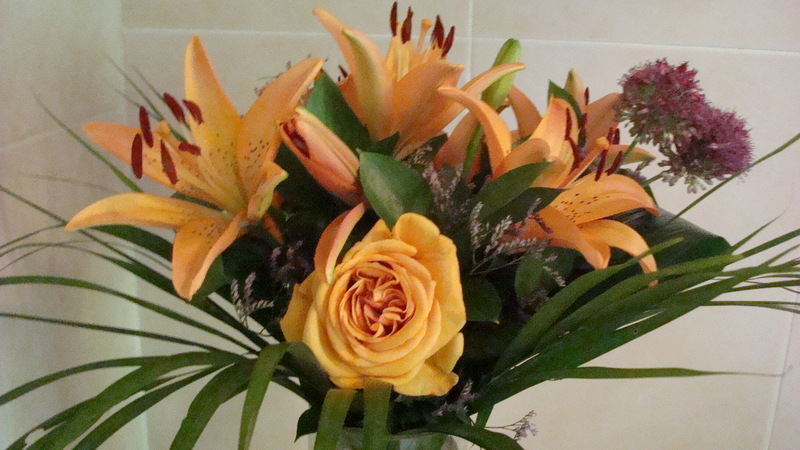 When I looked at it this morning it was beyond repair and smelled terrible. 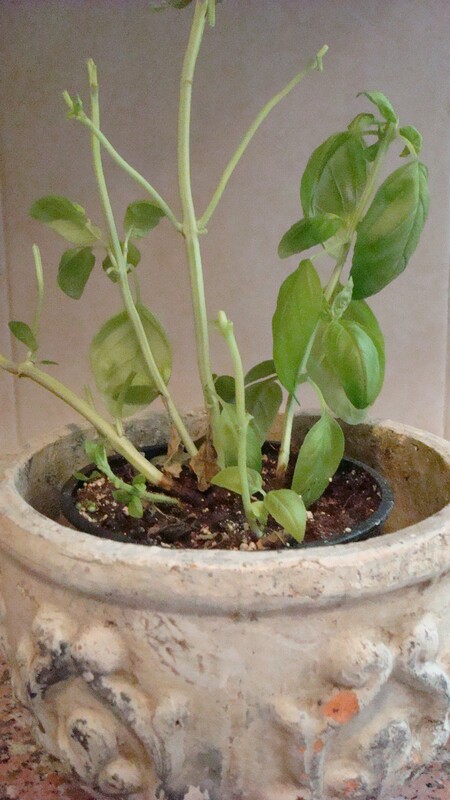 As a result, I had to practically strip my sole living plant–a basil plant–of almost all of its leaves. There was no alternative though. The basil was rancid! In a resealable plastic bag, combine 1/3 cup of the oil. 3 tbl. 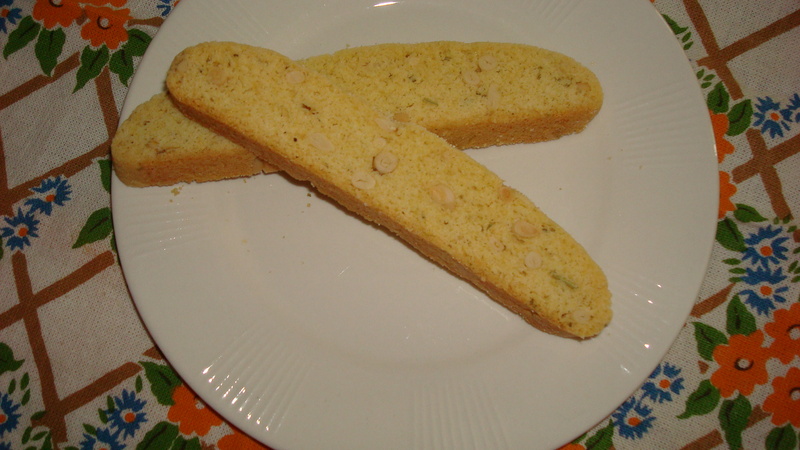 of the lemon juice, the fennel seeds, 3/4 tsp. of the salt, and 1/2 tsp. of the pepper. Add the chicken and seal the bag. Massage the marinade into the chicken. Refrigerate for at least 30 minutes and up to 24 hours, turning the chicken occasionally. 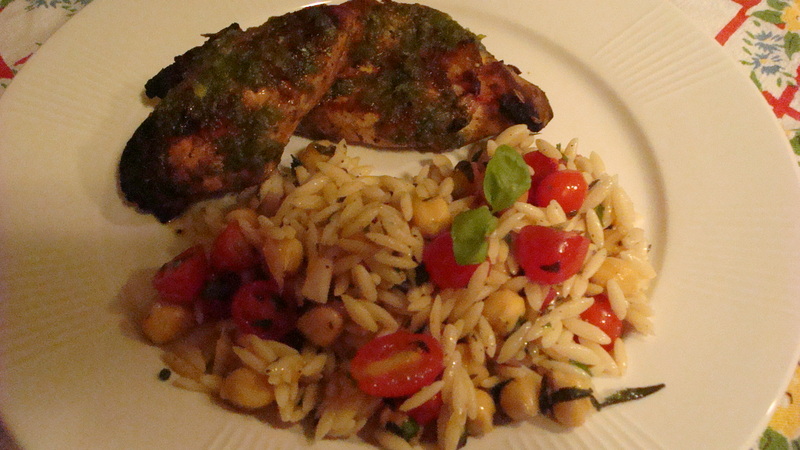 Meanwhile, in a blender, blend the basil, garlic, lemon zest, remaining 1/4 cup lemon juice, 3/4 tsp. salt, and 1/2 tsp. pepper until smooth. Gradually blend in the remaining 1/3 cup oil. Season with salt and pepper until smooth. Season the basil sauce to taste with more salt and pepper, if desired. Prepare a grill for medium high heat (or a grill pan over medium high-heat). Grill the chicken until just cooked through, about 5 minutes per side. 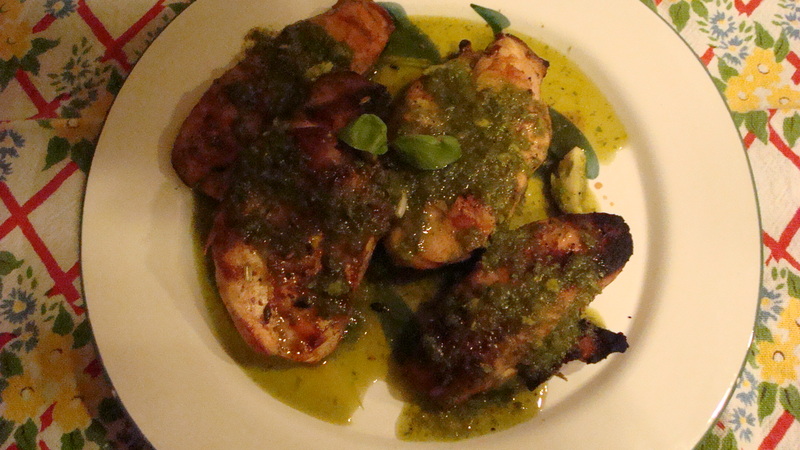 Transfer the chicken to a platter and drizzle with the basil sauce and serve. Bring the water to a boil in a large, heavy sauce pan over high heat. Stir in the orzo. Cover partially and cook, stirring frequently, until the orzo is tender but still firm to the bite, about 7 minutes. Drain the orzo through a strainer. Transfer the orzo to a large, wide bowl and toss until the orzo cools slightly. Set aside to cool completely. 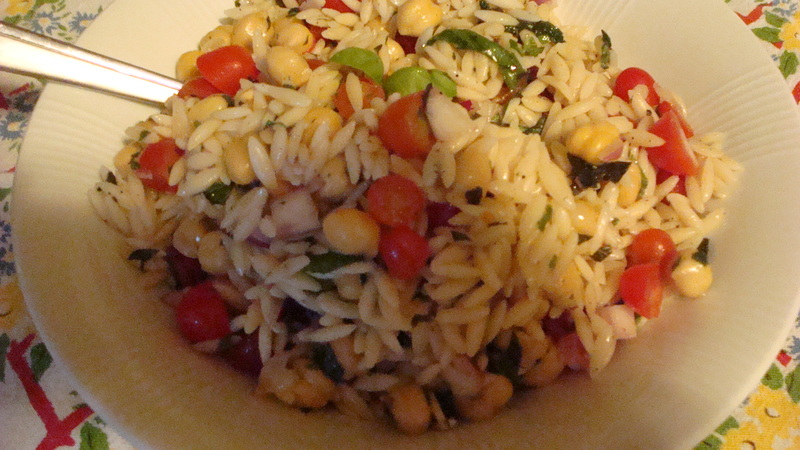 Toss the orzo with the beans, tomatoes, onion, basil, mint, and enough vinaigrette to coat; you may not need all 3/4 cup. 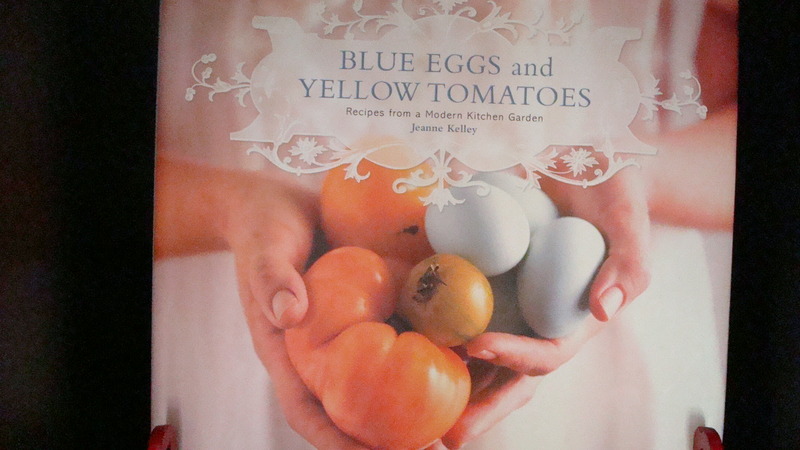 Season the salad to taste with salt and pepper, and serve at room temperature. Mix the vinegar, lemon juice, honey, salt, and pepper in a blender. With the machine running, gradually blend in the oil. Season with salt and pepper, if desired. Preheat oven to 350 degrees. 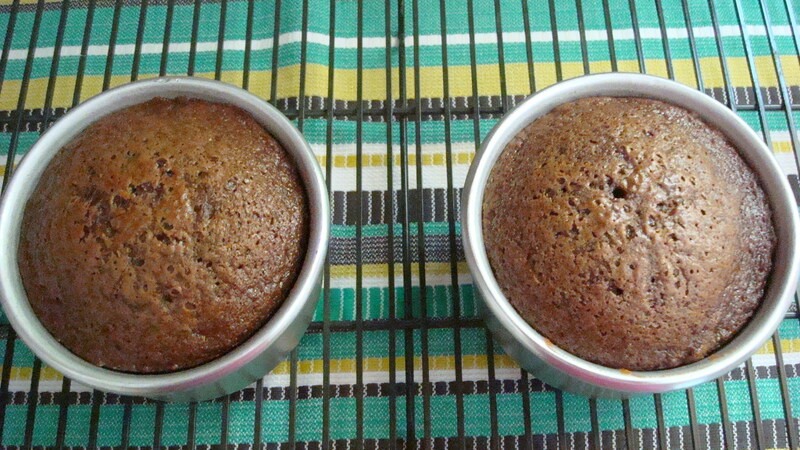 Lightly grease two 8-inch cake pans and set aside (I used 4×2 cake pans and it made 4 little cakes. I froze two for a later date). 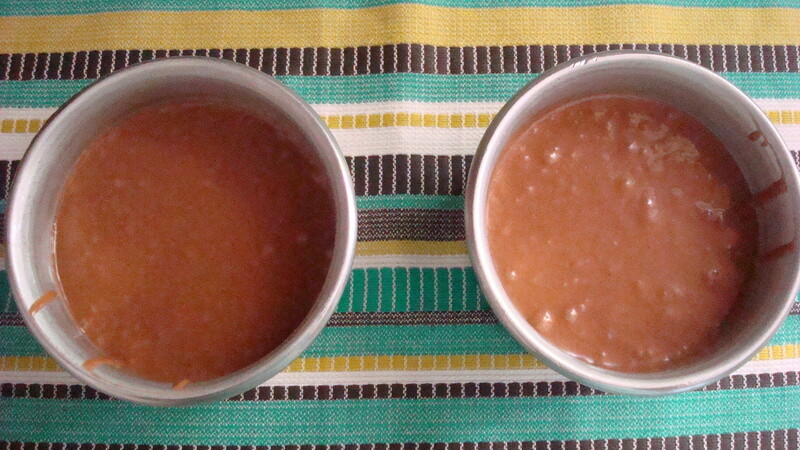 In a small saucepan, mix together the cold water and cocoa powder. Heat over medium, stirring constantly, until the mixture starts to boil. Remove from heat and set aside to cool. The mix should be paste-like. In a large mixing bowl, cream together the sugars and butter. Add the eggs, salt and vanilla extract and mix well. Add the cocoa mixture and beat well. In a small bowl, mix together the sour cream, milk and baking soda. Gradually add the sour cream mix to the batter, alternating with the flour. Beat well after each addition. 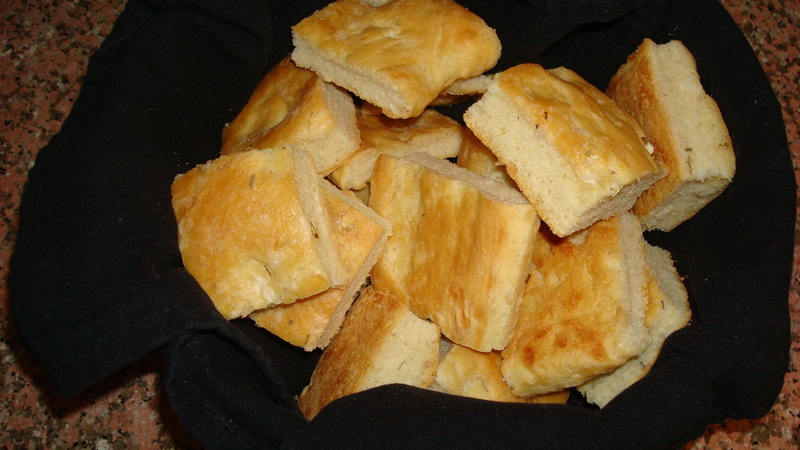 Pour into pans and bake at 350 degrees for 22-26 minutes. 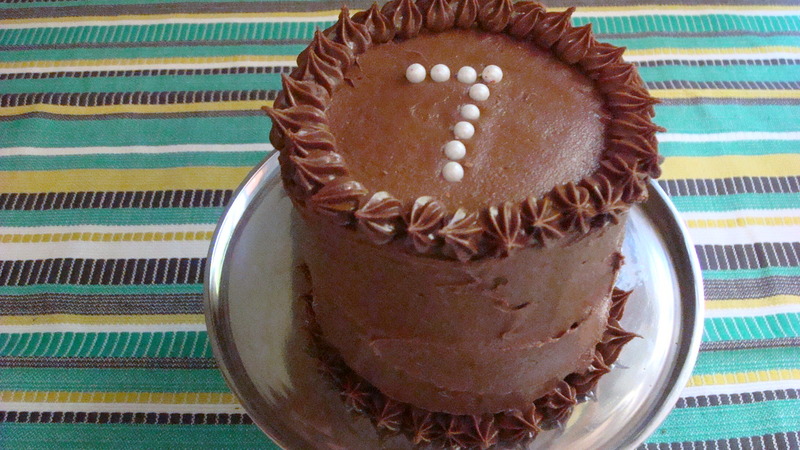 Use a toothpick to test or note that the cake is fully risen and pulling away from the sides of the pan. Remove from the oven and let cool for a few minutes. Remove from the pans and let cool thoroughly before icing. 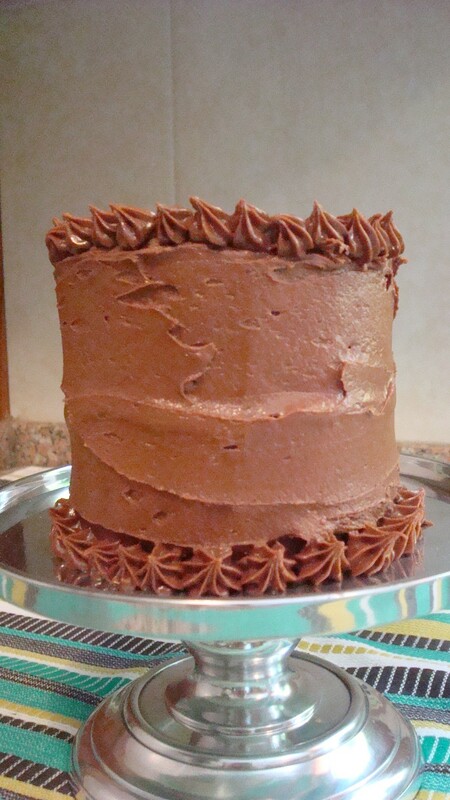 For the icing, cream together the butter and cocoa powder until fluffy. Add the salt. Gradually add the powdered sugar, beating well. Add the vanilla extract and mix well. Add just enough water to reach your desired consistency. Aren’t these the cutest little cakes! 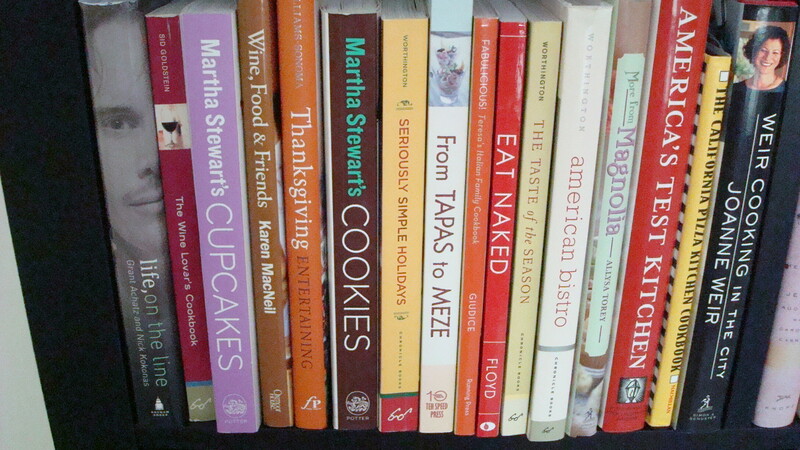 Here are what the contents of two boxes of cookbooks look like on my sad and lonely bookshelves. Secondly, I HATE grocery shopping here! 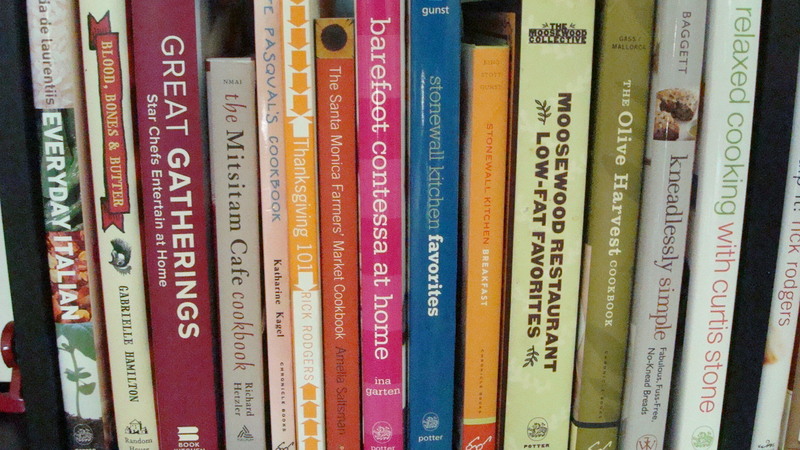 The stores aren’t that far away, but with the few cookbooks that I have, I can’t find the ingredients that I’m looking for. Yeah, I know, the solution is to improvise, explore the local foods, but I don’t feel like it…not now anyway. Further complicating matters right now is that it’s Ramadan for the entire month of August. What does this have to do with anything? Well, since everyone fasts all day, they feast at night and pillage the grocery store shelves leaving little by way of stock. Lastly, as I’ve complained all along, my kitchen is not functional. I was making pizza dough last weekend and plugged in my Kitchen Aid to the electrical circuit, which is an extension cord that goes up to the converter box (you know the 1970s contraption that I had to hide from my line of sight?). (FYI, in case you’re worried, pizza night has not suffered. It’s still going strongly, every Friday, despite the cooking downturn.) As I was adjusting the speed, I kept feeling a tingling sensation. It took me a few more adjustments to realize I was getting shocked. Now, in order to use ANY of the small appliances that I brought, I have to disconnect everything in order to plug one thing in at a time. You’re thinking ‘what’s the big deal,’ right? The big deal is that the plugs are ALL above the cabinets so that I don’t have to see them. The issue is that unplugging everything requires me to get out the step-ladder, adjust the cords, re-hide the cords after I’m finished…it’s too much work. Did I mention that I’ve gained weight since I’ve gotten here too? Another reason not to cook!!! 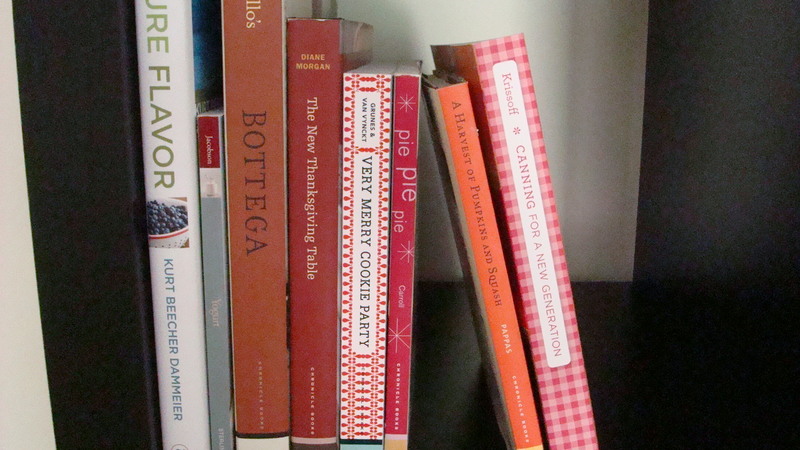 If you were moving abroad and were told that you could only bring ONE cookbook with you, which cookbook would it be and why? When answering this, don’t take into account any of my gripes. Assume you don’t know what type of kitchen you’ll be cooking in and you’re not sure what types of food are available. 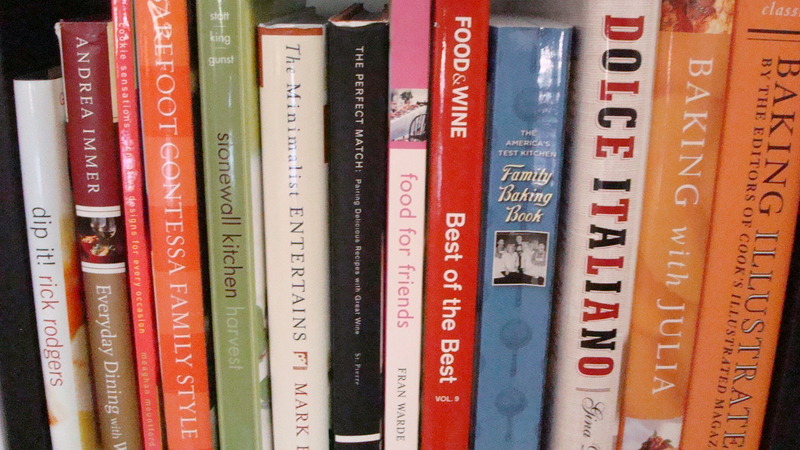 Just choose your favorite, most indispensable cookbook and tell me why it’s so wonderful. Let’s see how many of your suggestions I’ll be placing in my next Amazon shopping cart. I still love this book, just not here. 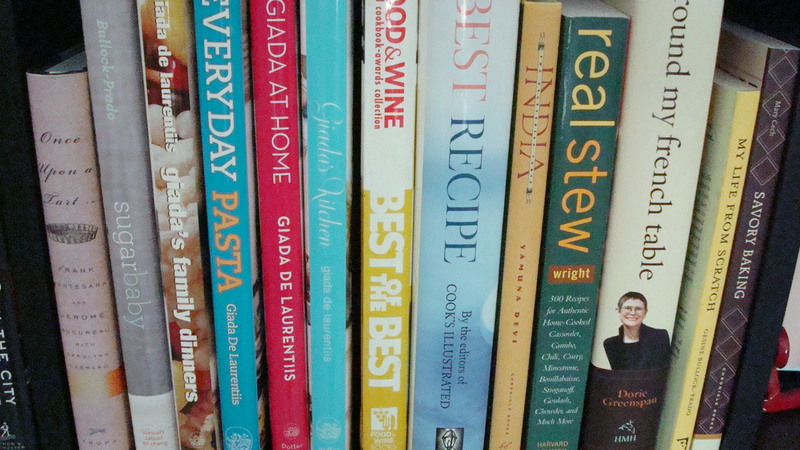 Most of the ingredients of my favorite recipes are nowhere to be found. Getting used to doing NOTHING is difficult. There’s only so much running (in a not so nice gym and on a treadmill to boot) and lonely yoga one can do before insanity sets in. I’ve organized the home as much as possible, I have nothing to buy (and have shopping issues–see post 1 number 9 on the list), and no friends. What’s a girl to do? Cook. Similar to the eggplant caponata of the previous post, there’s always a Middle Eastern snag. Here in Jordan (as you might have guessed) pork products are nearly impossible to find (and I’ve scoured three grocery stores thus far). 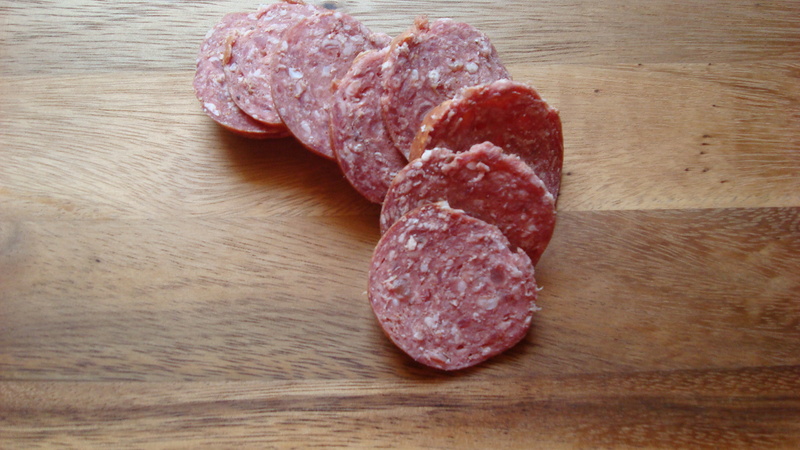 What we’re left with is “beef” pepperoni and it’s not pretty. In fact, it reminds me of bologna. Yum. 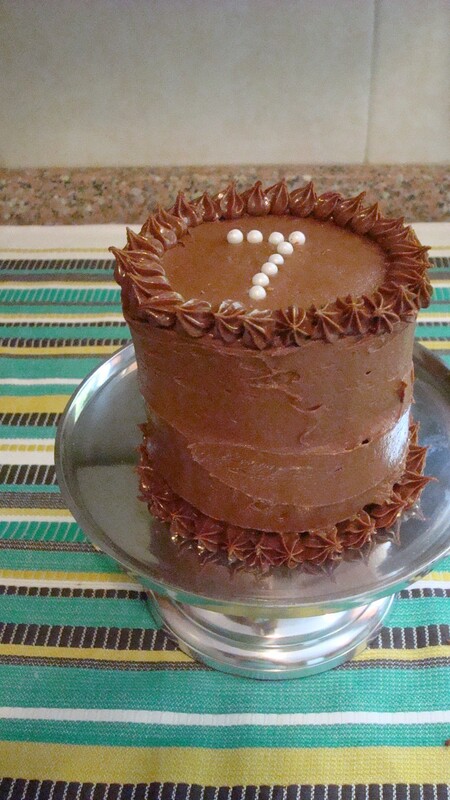 It was a beautiful spread and I congratulated myself mightily. Raj commented that the crust on the pizza wasn’t as good as it was back home. I pushed. “What?” He claimed it must be the oven or the water. He still LOVED it, but it’s different, like everything else here. A taste of home, but with a Middle Eastern slant.